VCOM is highly interoperable, easily bridging disparate communication systems including two-way radios, phone systems, and hardware intercoms. The VCOM Virtual Matrix has an integrated SIP server and can directly interface with SIP devices and IP phone systems; Push-to-Talk (PTT) Services and Land Mobile Radios (LMR) connect to VCOM via SIP Gateways. 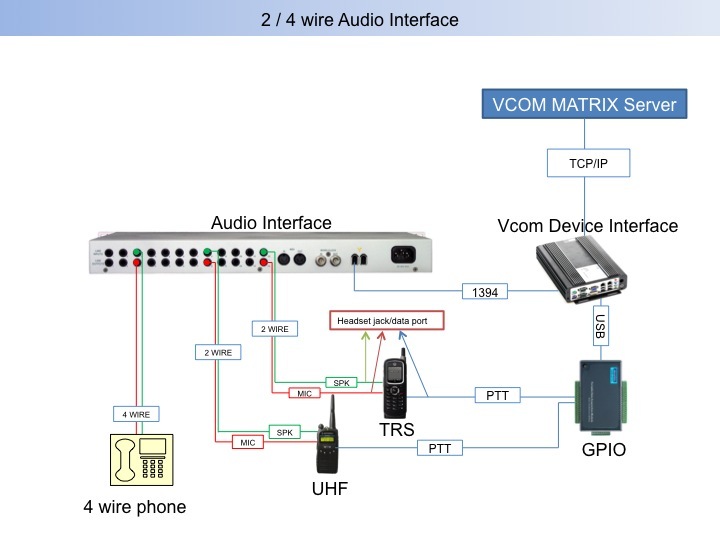 VCOM Device Interface software allows 4-wire connections in combination with industry standard audio interface gear. 16-channel I/O connects to PC or server running VCOM Device Interface software via Thunderbolt or USB connection. 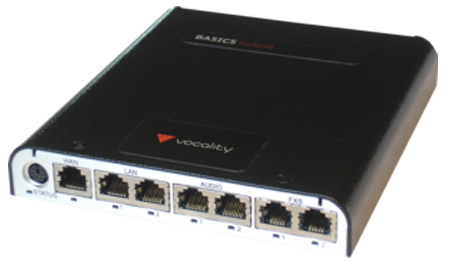 8-channel I/O sits anywhere on your network and connects to PC or server running VCOM Device Interface software via Dante digital audio networking. Single to 12 port gateway for extending PTT (Push-To-Talk) and LMR (Land Mobile Radios) over IP to VCOM via SIP. Single connection device that provides a 4-wire audio connection to wireless intercoms for use with VCOM via SIP.